The visit to the big Island of Hawaii ( Hilo ) didn't start out so well. After landing and getting the rental car, it was time to head off to our hotel. Then punching in the address to the GPS we got the bad news, it was a 2 hour drive to the hotel. It would be an even longer drive as there was construction on the highway. Turns out there are two airports on Hilo, and the travel person who booked our flight should have had us land at the airport 20 minutes from the hotel. 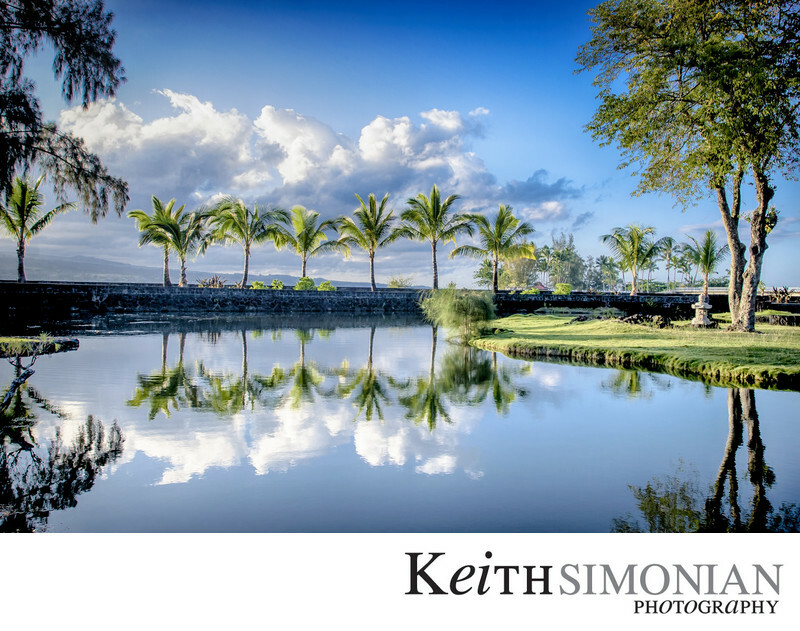 Palm trees and clouds reflected in the water of the Japanese Tea gardens in Liliuokalani Park, Hilo Hawaii. Here's another view of the park showing the winding trails and spots to rest and take in the beauty of your surroundings. 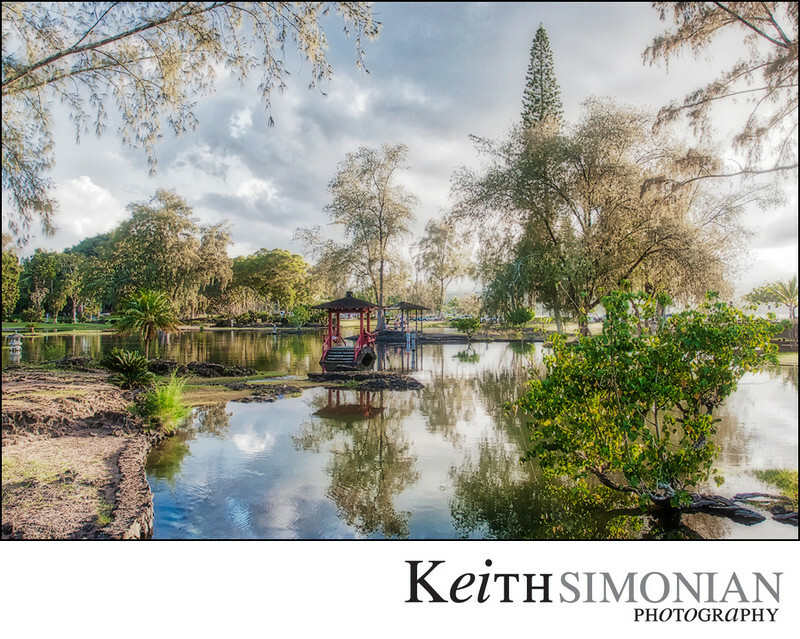 Location: Japanese Tea Garden - Liliuokalani Park Liliuokalani Ln Hilo, HI 96720. 1/160; f/8.0; ISO 200; 17.0 mm.